Template websites are cheap and further evidence that you get what you pay for. 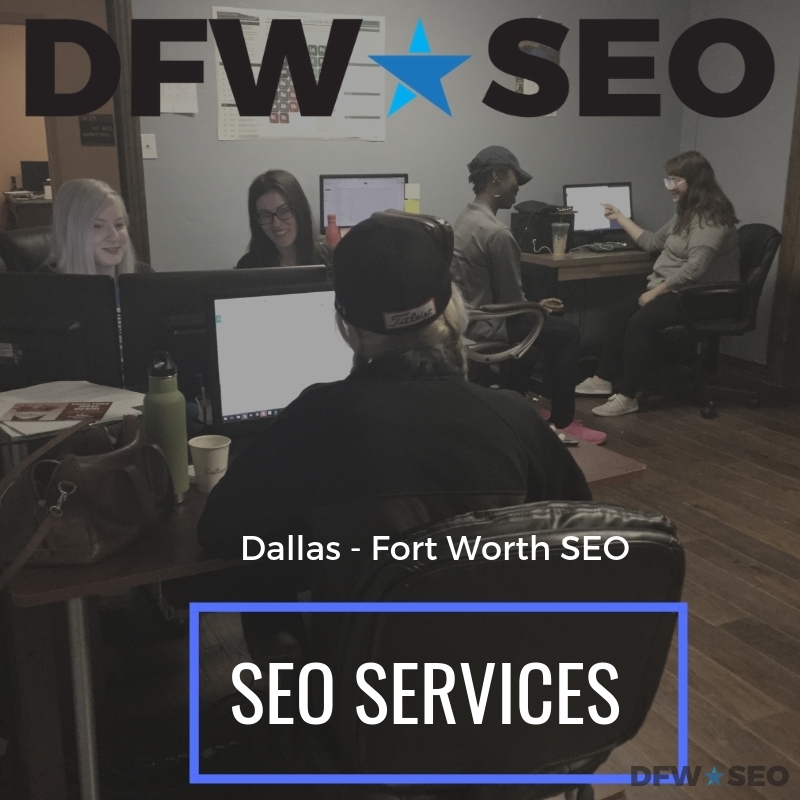 DFW SEO designs custom WordPress websites for small businesses in Dallas and Fort Worth, TX. We refrain from the usage of stock template so that Google can properly crawl and index your site, and users can enjoy the experience of navigating through your website while maintaining engagement. Alot more goes into design behind the scenes than meets the final eye. For instance, clean coding (HTML, CSS, etc.) is imperative for a fully functional website. Furthermore, mobile sites must be top priority for the modern designer. Since more than half of all traffic comes from mobile devices, it’s critical to invest in a company equipped for excellence in that area. Google talks about content being king, and here’s some news for you, everybody knows this. Because so much content is produced on a daily basis throughout the web, the presence of it alone won’t be enough to rank. That’s where content marketing comes in. Sure, it’s easier to market high quality and well written content, but you must still know how to market it. Blog posts are one of the most efficient pieces of content to market. You can share them on social media platforms like Facebook, Twitter, and LinkedIn, and if they gain traction, they can start to earn inbound links from other domains. This will boost your domain authority and help you increase your organic search rankings. If there’s one thing you need more than anything else, it’s a local online presence. As a company based in Dallas – Fort Worth, you should understand that your marketplace is condensed to the Metroplex (in most cases). That means you need to work on showing up on DFW based search results, which will be different than results in New York City, Los Angeles, and even Houston. The foundation of your local SEO is Google My Business and Google Maps. These two things are unsurprisingly collaborative in nature. You must claim and optimize your GMB page and verify your business address on Maps. When Metroplex users search for your company online, the first thing they should see is the Google home page, which is your GMB and Maps listings. To make true gains on organic search you must have impeccable on page SEO. This means every detail must be tended to when optimizing your pages. From title tags to meta descriptions to header tags, and more. You should even optimize your on page images by uploading the proper file size with the proper file name and then tagging it with corresponding alt text. Sure, other factors influence rankings besies on page elements, but make no mistake, without them, you have a very limited chance of ranking. Besides on page SEO is the best way to communicate with Google. Through these methods, you are telling Google exactly what your website and pages are about, and how they should be indexed for optimal consumption. There was a time when on page SEO was the only thing necessary to dominate rankings. That’s no longer true today. Many have argued that branding has taken over SEO. While that’s not entirely true, it’s not entirely false either. You’ll certainly need to develop an online brand, and the way to do that is through link building, citation building, and other things known collectively as off site SEO. They call it off site because it happens away from your primary domain. Sure, it has influence over your website, but the action itself occurs always from it. Everything from building quality inbound links from relevant sites to claiming and optimizing business citations on Yelp, BBB, and other directories falls under the category of off site search engine optimization. The world of social media can be overwhelming. After all, it’s filled with lots of young people showing highlight reels of their lives. Although we wouldn’t recommend social media as a personal obsession, we would stress the importance of its impact on internet presence. Brands and companies alike must have a social media presence to succeed in the 2019 online market. Many platforms exist for companies like yours. Facebook, Instagram, and LinkedIn all have business-like pages reserved for companies. Twitter and YouTube are also places to brand your services. At the very least, social media should be a platform to syndicate blog content and share updates. Updated on November 8, 2018 at 4:46 pm by Dallas / Fort Worth SEO.